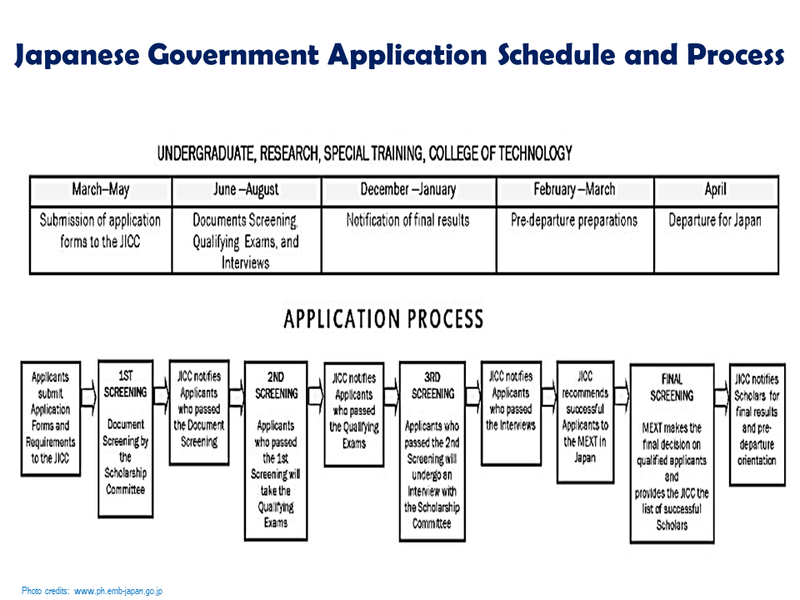 The application for the 2019 Japanese Government Scholarship Programs is NOW OPEN. Did you know that for more than 54 years, the Japanese Government has received Filipinos, among other nationals from all over the world, to study in Japan? For the past several years, an annual average of 100 scholars from the Philippines has been sent to study in Japan. DEADLINE for application is on MAY 18, 2018. 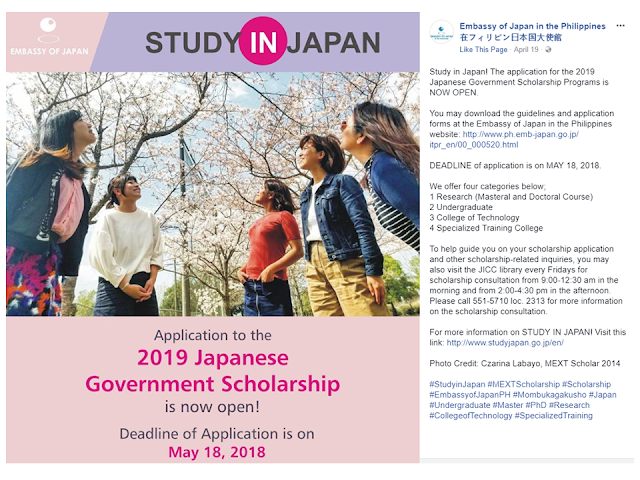 Japan is now opening their doorways to foreigners who want to study in Japan for free through Japanese Government Scholarship Program. 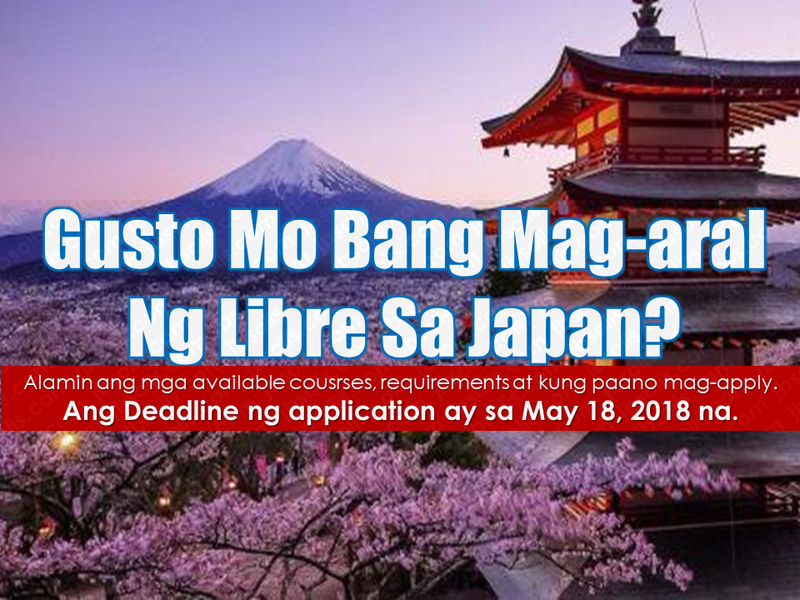 They are now starting to accept applications through the Embassy of Japan in the Philippines. The deadline for submission of applications will be on May 18, 2018. 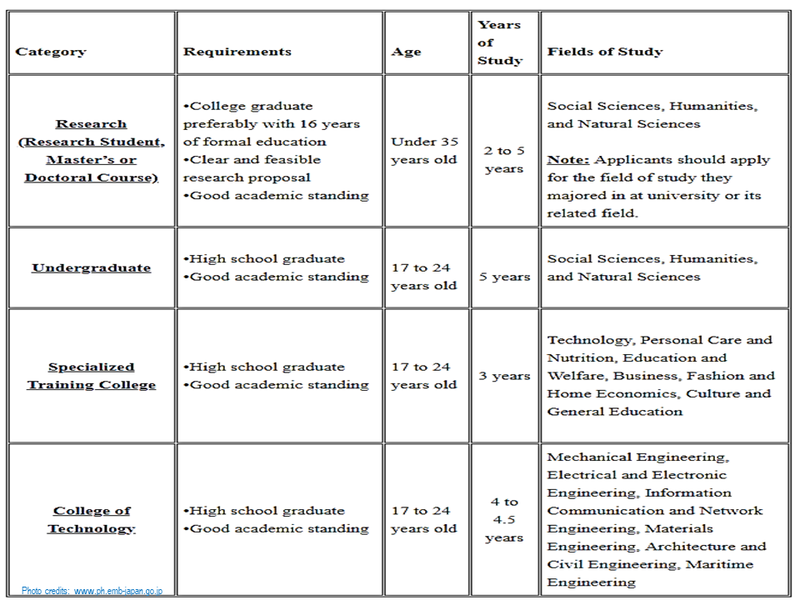 For the requirements, please refer to the chart below. For interested applicants, to guide you on your scholarship application and other scholarship-related inquiries, you may also visit the JICC library every Fridays for scholarship consultation from 9:00-12:30 am in the morning and from 2:00-4:30 pm in the afternoon. Please call 551-5710 loc. 2313 for more information on the scholarship consultation.